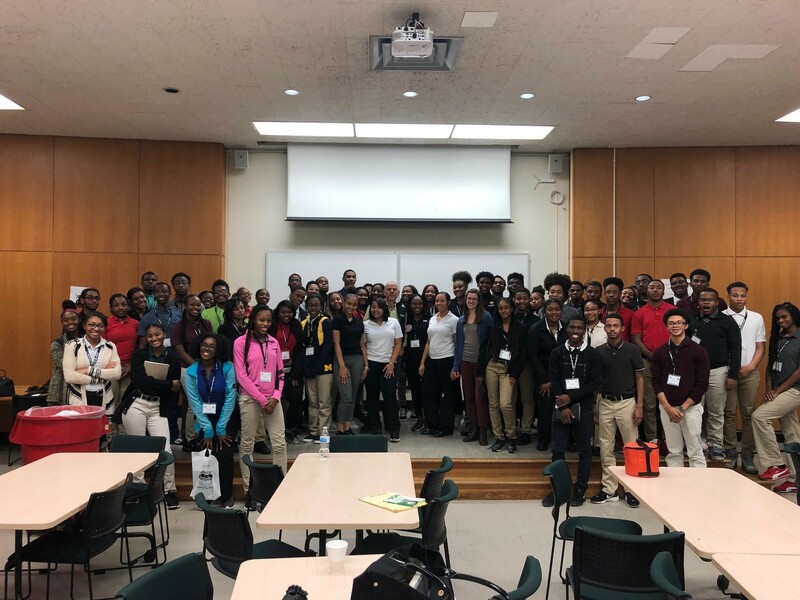 MSG’s Detroit office visited the Midnight Golf Program (MGP), a local nonprofit geared towards shaping underserved high school seniors across the metropolitan Detroit area into future leaders with mentoring and golf! The MSG group participated in the MGP Mentoring Career “Speed Dating” program. Groups of students visited each mentor organization to introduce themselves and ask questions related to a career with that organization. The program concluded with dinner. There were definitely a lot of future engineers in the room, headed towards college!